Russia may deploy additional missile systems to the Far East, including on the Kuril Islands, in response to the plans of the United States to deploy missile defense complexes in South Korea, Leonid Ivashov, president of the Academy of Geopolitical Problems, told RIA Novosti. The expert commented on recent reports citing a source in the Russian Foreign Minister. In particular, the source said that Russian military planning will take into account Seoul’s decision to deploy US THAAD missile systems in the country. "The possible responsive measures to a THAAD system in South Korea may include deployment of new striking forces in Russia’s Far East. For example, warships of the Pacific Fleet could be equipped with Kalibr missiles," Ivashov suggested. Moreover, additional ground-based missile systems could be deployed in the Eastern Military District, including on the Kuril Islands, but Japan should be notified of the move, the expert said. At the same time, Ivashov underscored that Moscow would use diplomacy as the primary tool in dealing with South Korea. Russia will notify the South Korean government of the possible scenarios of military response before it will start deploying weapons. The analyst added that China may be Russia’s ally in opposing a US missile system in South Korea. Beijing is not interested in the buildup of American military presence in the region. Russia will build on the Iturup and Kunashir Islands (Kuril Islands) fortifications, firing ranges and a storage base for ammunition and military equipment, the Russian Special Construction Agency reported recently. "The initiative includes construction of military facilities like fortified positions, training ranges, and warehouses. It also includes infrastructure objects for personnel," the press-service reported. A total of 400,000 square meters of facilities will be built, including 392 buildings and objects. Earlier, the Russian Defense Ministry announced plans to boost its military presence on the Kuril Islands, including deploying new weapons and military hardware to the region. In particular, Russia will start this year construction of a new Pacific Fleet base on the Matua Island. "Matua holds the key position in the Kuril chain. During the war, Japan used it as the key defense point in the region. For Russia, Matua is the gate to the Okhotsk Sea. 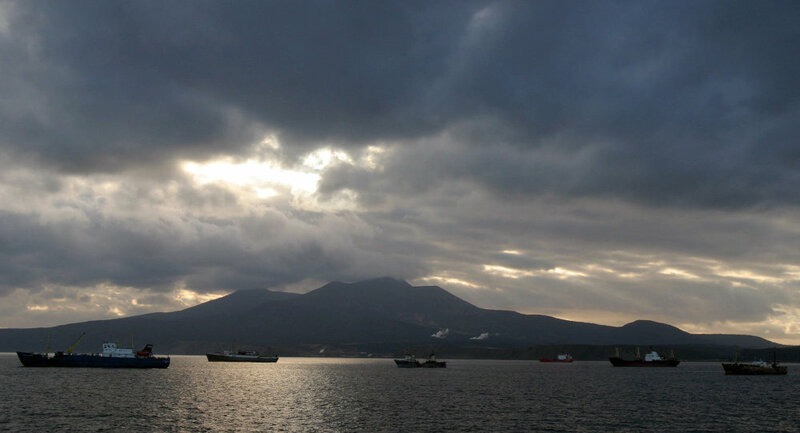 Its position allows for control over the entire Kuril chain," Konstantin Sivkov, president of the Academy of Geopolitical Problems, told Radio Sputnik. The new base will enhance Russia’s capabilities of strategic deterrence of the United States and NATO, Mikhail Alexandrov, a military analyst the Moscow State Institute of International Relations, told Svobodnaya Pressa. "The base on Matua will be Russia’s easternmost outpost. Russia will get another trump card in any possible regional or political dispute. It’s better to showcase force than to use it. This is why the new base will help Russia resolve tensions and crises in the Pacific," Ivan Konovalov, director of the Center of Strategic Environment, said.